Japanese Vocab - How would you spell 今夕 in hiragana? difference, since it'd generally be written in kanji anyway? It is spelled こん・ゆう not こにゅう, which has no meaning whatsoever, except that it is a name of a place. The difference between こん・ゆう and こにゅう is very significant. I am sure you are aware of the on and kunyomi in a kanji. Except for tsu 「つ」 the pronunciation is not merged. Take the word 一体 [ittai, one body; ...what on earth etc.]. 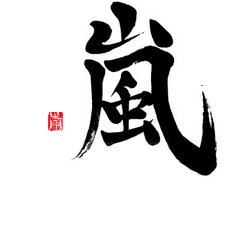 The kanji "hito.tsu" has "itsu" as one of the onyomi. "Karada" has "tai" in it as it's onyomi. You don't say itsu-tai but ittai. Kon.yaku 婚約 [engagement] is another example. The two kanji you see only has kon and yaku as the only onyomi (no kunyomi). It is spelled kon.yaku NOT koniyaku. The pronunciation is different.